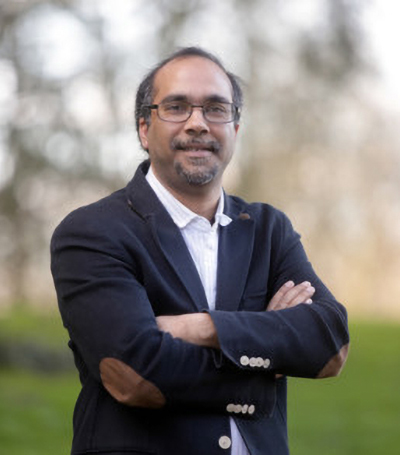 Professor Tofail A. M. Syed is an Associate Professor in the Department of Physics, University of Limerick, Ireland and a member of the Bernal Institute of the same University. He received an M.Sc. in Engineering and a B.Sc. in Metallurgical Engineering from Bangladesh University of Engineering and Technology (BUET). After receiving a Ph.D. in Physics in 2002 from the University of Limerick, Ireland, he conducted a postdoctoral fellowship on surface characterization using X-ray photoelectron spectroscopy and molecular modelling. He has used first-principle design of materials and interfaces for developing piezoelectric hydroxyapatite, radiopaque NiTi alloys, antimicrobial textiles, anti-encrustation stents and drug-eluting stents. He is one of the co-inventors of super-resolution chemical imaging using infrared absorption. His research interest focuses on converging science towards innovative solutions in therapeutic devices, high resolution spectro-microscopy and imaging. Haseeb, ASMA; Islam, MF; Alam, O; Tofail, SAM (1997) ‘Surface Hardening Behavior of Titanium Alloys in Carburization‘ In: B. Misra and G. J. Kipouros, TMS (eds).Titanium Extraction and Processing.